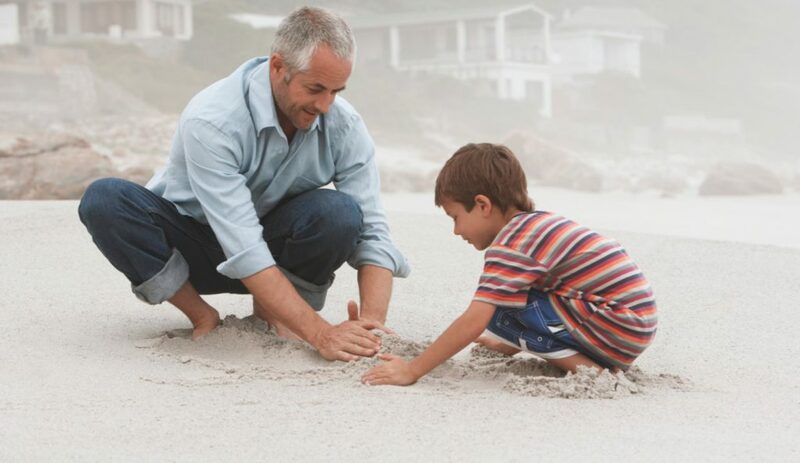 Going to the beach is a fun family activity which everyone can enjoy. From toddlers to teenagers, all ages of kids and all the adults can enjoy playing, lounging, swimming and many other beach activities while at the beach. If you are planning a beach holiday then you probably know how stressful it can be with children. There are certain things you can do to make your holiday just that much more enjoyable. 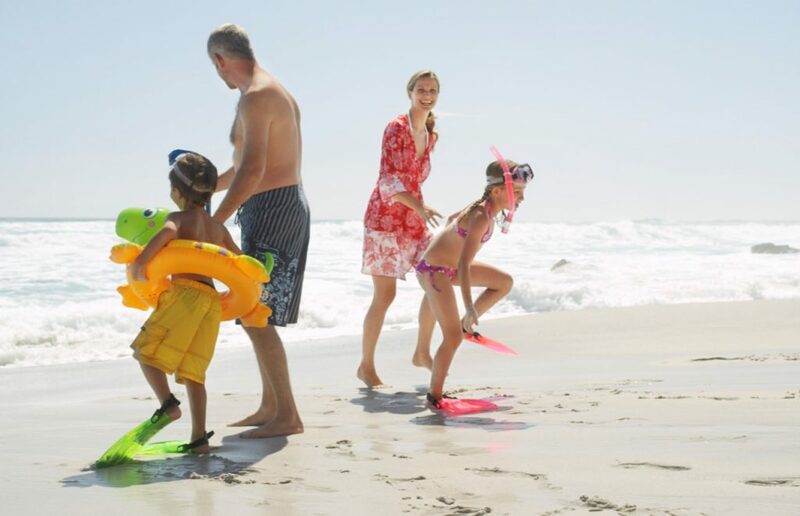 For a safe and serene holiday, use these tips when you go on your next beach vacation with kids. If you are on vacation at a destination that is packed full of tourists leave your hotel as early as possible to grab a good spot. Make a ring on your area of beach and throw your towels and bags down to grab that spot. Nearer the water is easier because it means you can keep a close eye on your children while they are swimming and you can still relax. However big your children are they might get lost in the crowds. They might go searching for food or for a toilet and they will probably get lost somewhere at some point. Make a spot which everyone knows and arrange to meet and wait there if someone gets lost. Try choosing maybe the lifeguard station, the ice cream stall or somewhere where there is someone to help if your child gets distressed until you come to the rescue! Food and drink will heal anyone’s soul. No matter how miserable or how tired your children are some sandwiches, crisps and juice drinks will revitalize their energy levels. Take more than you need and try to avoid chocolate, biscuits and anything that will ruin in the sun. The key to entertaining your children at the beach is toys and plenty of them. The more you take with you, the better. Think about blow up tools like skittles and bowling. Take footballs, volleyballs and more spades and buckets than you need. The more you take, the more time you children will spend entertaining themselves. You could always arrange a family game of volleyball as well which a fun idea to try out is. There is nothing more annoying that being at the beach in the raging sun and needing a cool, shady place to take some time out in. An umbrella will offer you the shade you need while lying on the sand and a beach tent provides a quiet space for your children to chill out in when it gets too much. A pop up tent is also great for getting changed in and storing all your belongings. Your children might like to take a nap midday too so this is a creative way of offering ‘nap time’ at the beach for your children. The last essential thing you need to consider is to invest in a comfy beach chair. This is specifically for you and not your children. There is nothing worse than enjoying a good book and having a child jump on top of you wanting to play. Towels on the sand will get soggy and covered in sand, loungers to rent are overpriced and sometimes you just want to sit rather than lay down. Advice from the parents – buy a chair and sit in it. It is affordable and easy to carry and is an item the parents can’t do without. 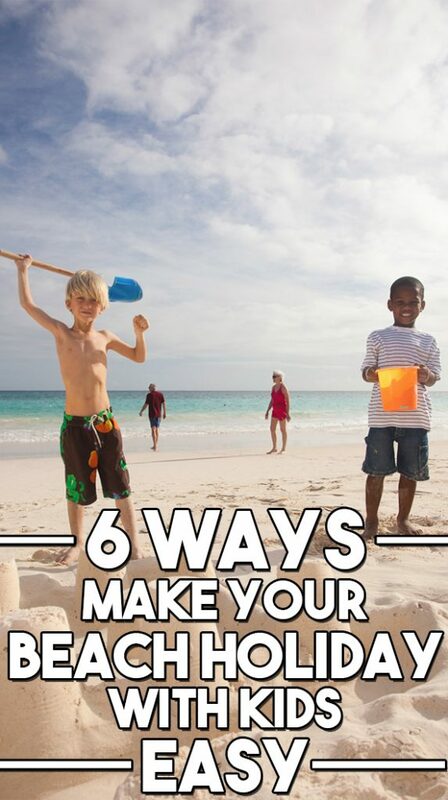 3 Comments on "6 Ways Make Your Beach Holiday with Kids Easy"
I usually forgot to take umbrella with us whenever we go at beach. 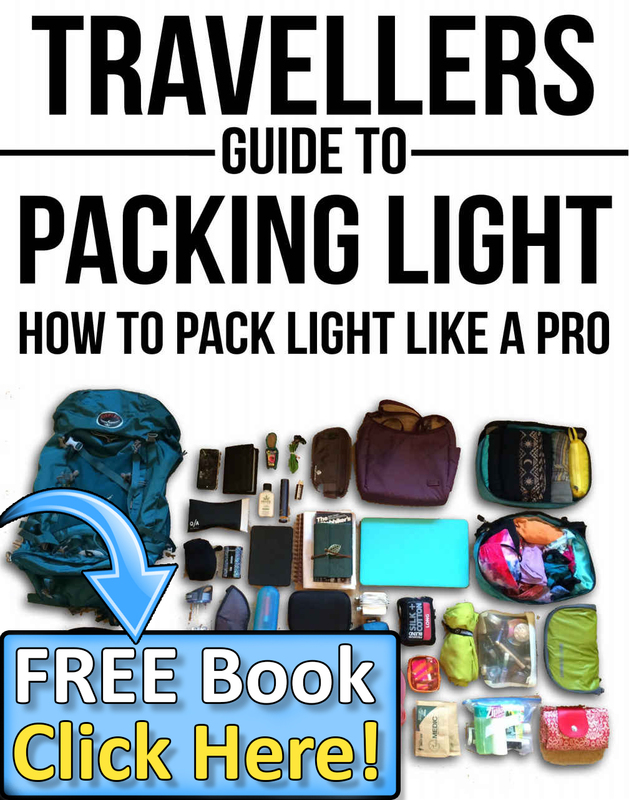 Really useful article.